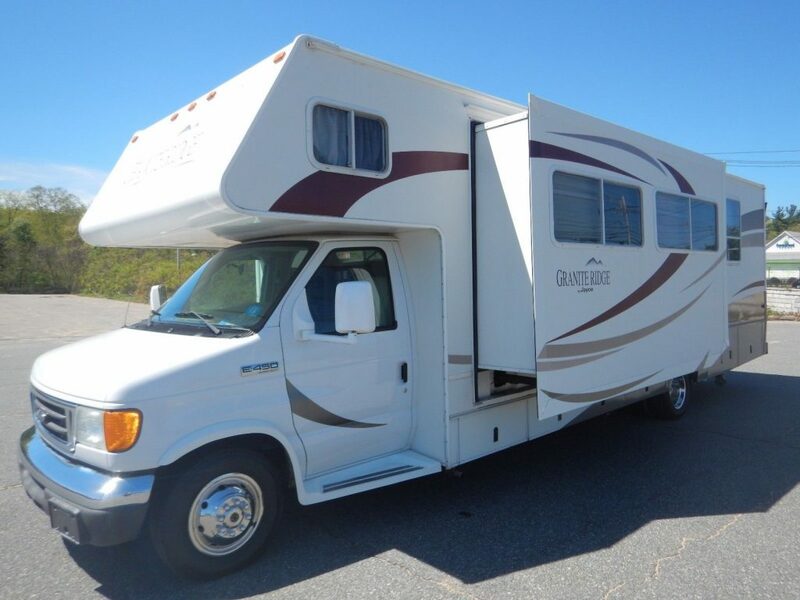 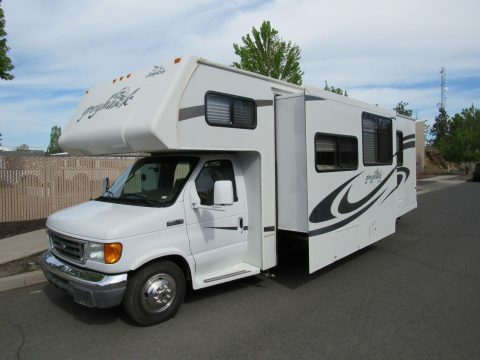 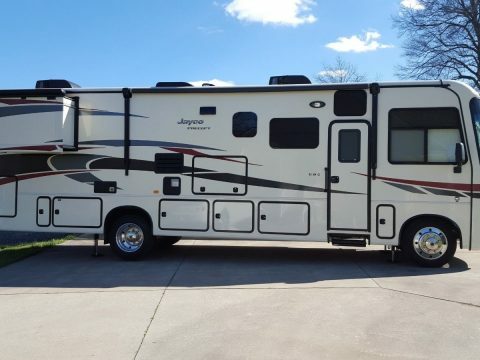 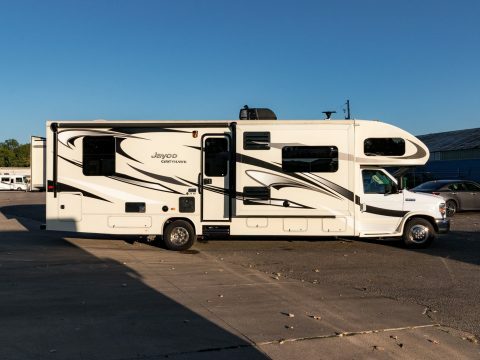 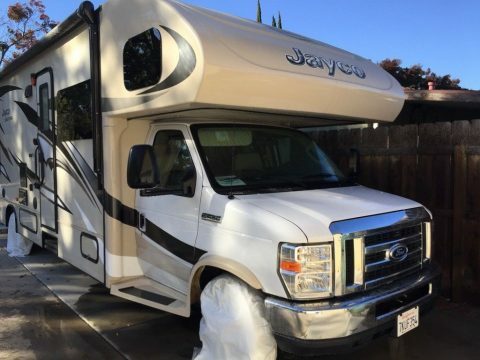 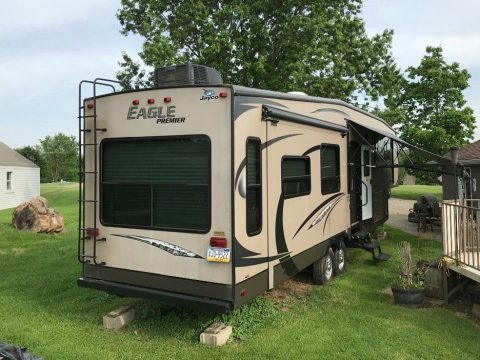 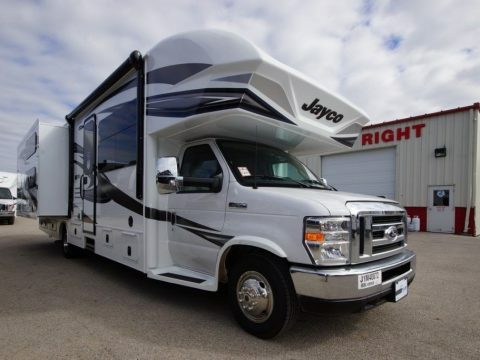 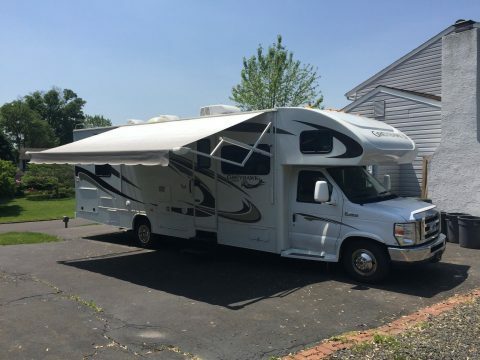 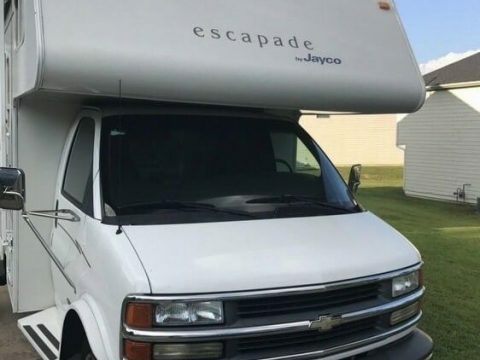 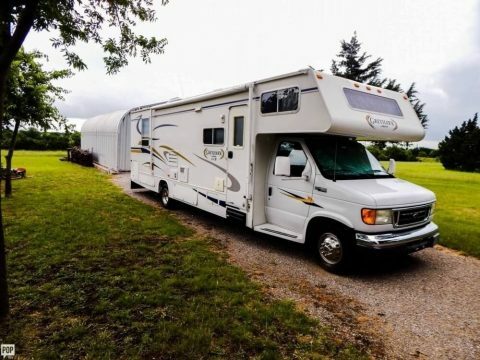 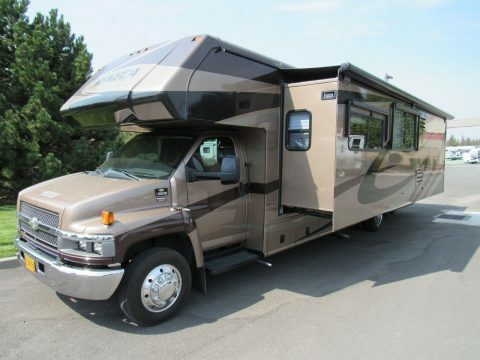 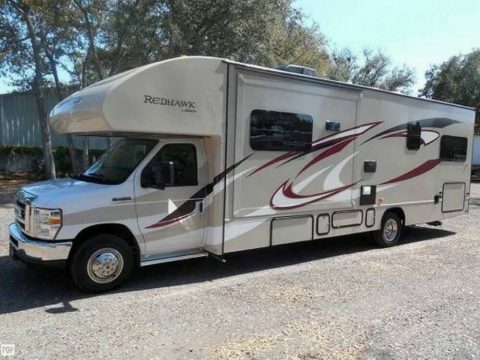 Low Mileage 2006 Jayco Granite Ridge 31’6″ Class C Motorhome with a Super Slide Out with 25,878 Miles. 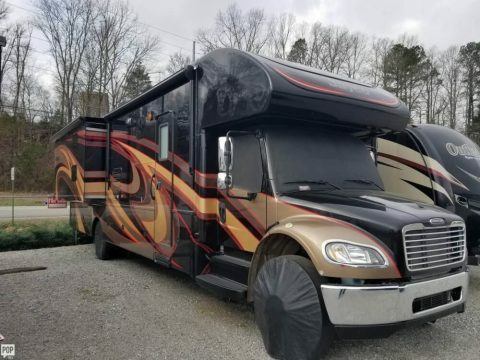 This unit was just driven here from Maryland. 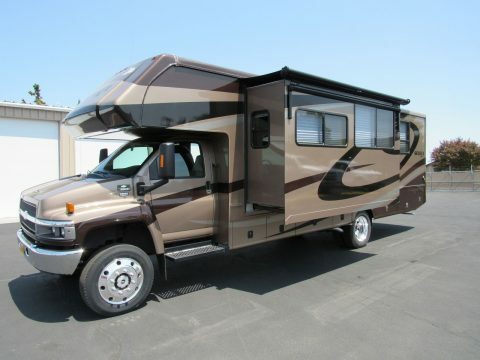 It sits on a Ford E-450 chassis with a Ford 6.8L Triton V10 Gas engine and Automatic Transmission. 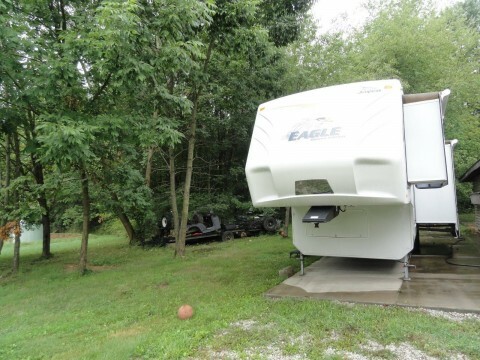 The generator is an Onan 4000 Micro Quiet gas that runs great, has 1398 hours. 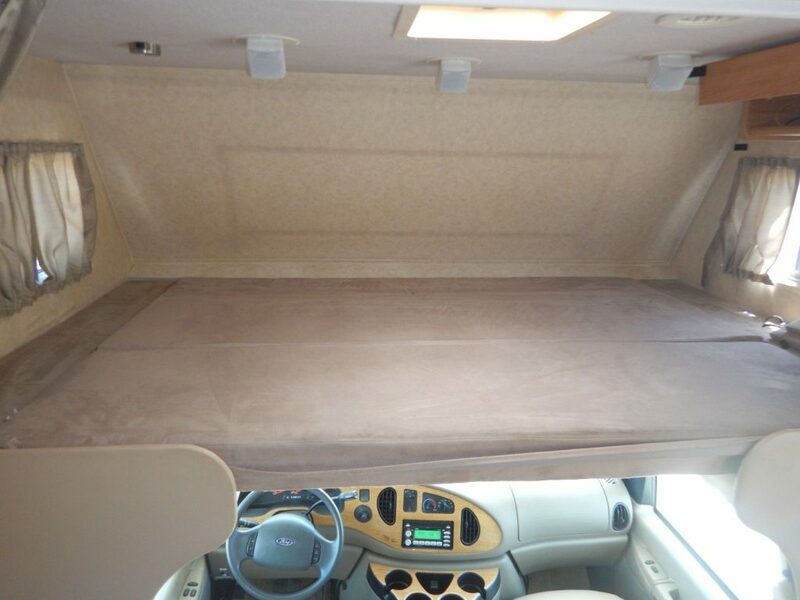 The cab area has tan leather flex steel front seat, tan carpeting, power windows, power door locks, power mirrors, wood grain, CD player stereo sirius ready, tilt, cruise, dash A/C and back up camera. 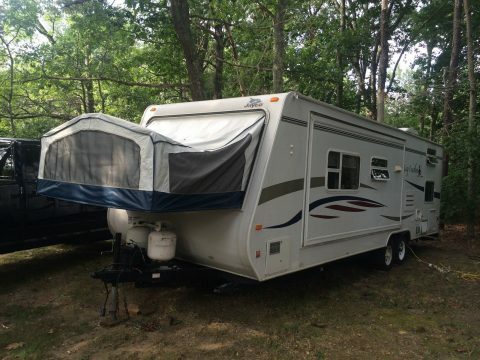 The overhead bunk area is nice and solid, has the mattress and curtains on the windows, privacy curtain and roof vent. 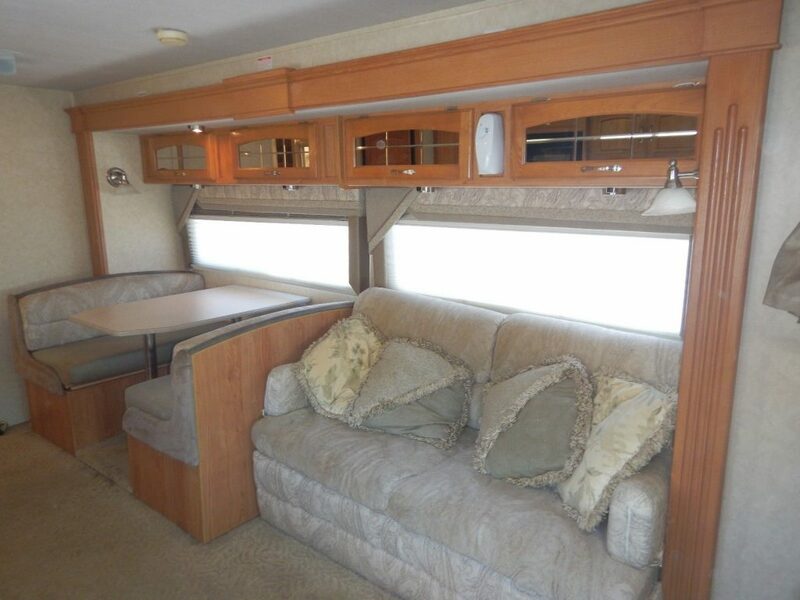 The living room has tan carpeting with jack knife sofa bed, upper cabinets, wall lamps, valances with day/night shades, dinette booth with drop down table for sleeping. 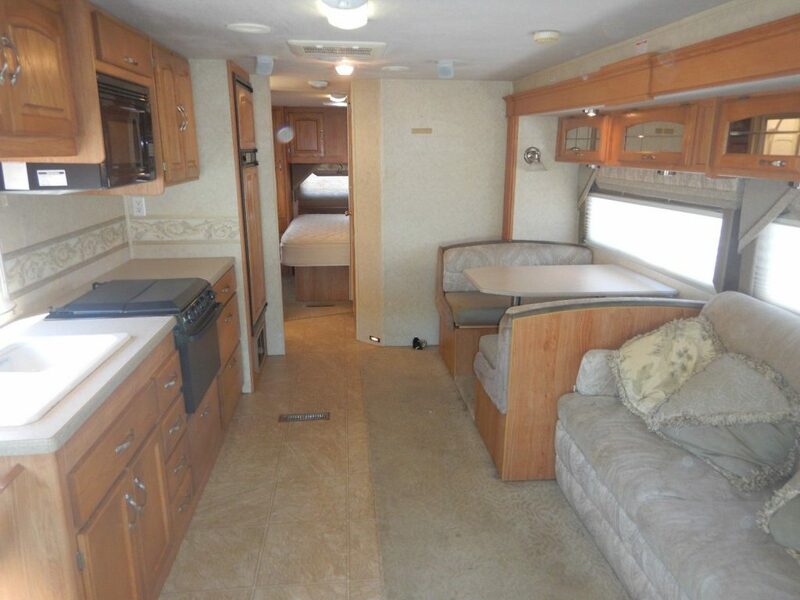 The kitchen has the countertop with sink cover, 3 burner stove/oven combo, wallpaper border, Norcold refirgerator and a microwave.The shower is on the left walking to the rear of the unit. 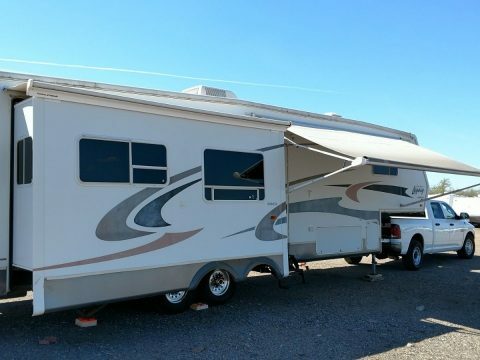 The bathroom has a full door that opens as privacy from the living room. 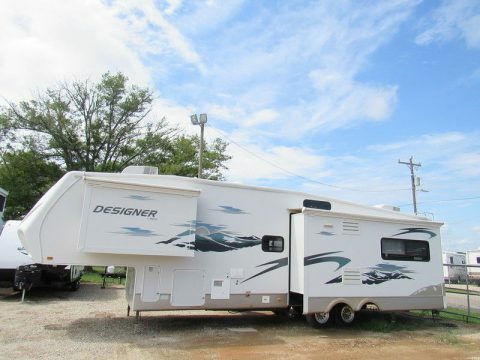 It has the toilet, vanity sink and dual mirror cabinets and a cabinet above the toilet, roof vent and towel holder.